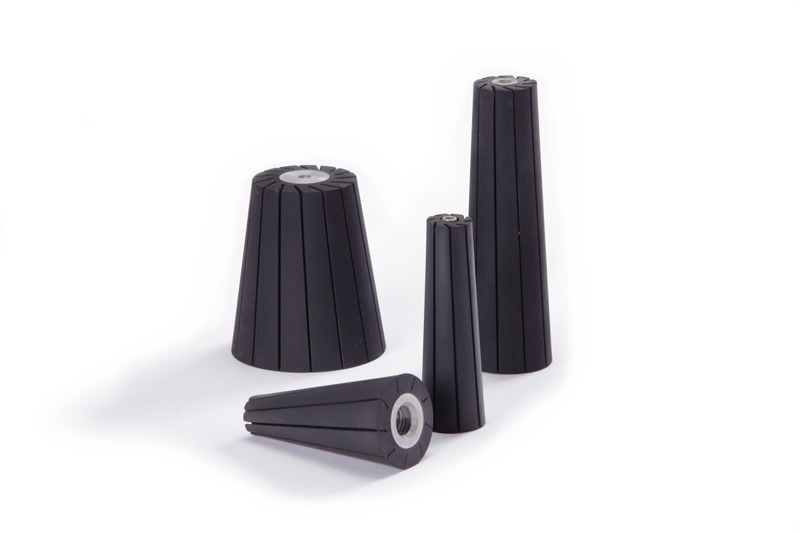 These slotted expanders fit standard abrasive sleeves and cones. 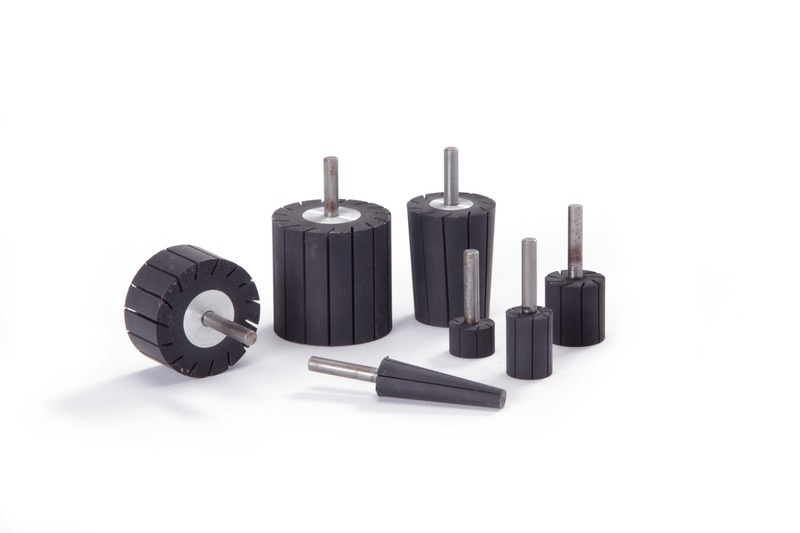 Both styles use coated abrasive sleeves and cones, which completely encase the rubber diameter. The abrasive is held in place with centrifugal force generated by the rotation of the tool. Standard C138E expanders are permanently mounted on a 1/4″ steel mandrel. C138ET tapered mandrel is furnished with a threaded bore in the large diameter end of the mandrel.